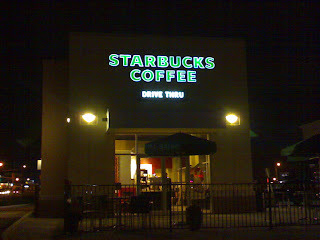 I am not a fan of starbucks .. the coffees are really bad there .. why not try making your own coffee or chai to be better. I like the cold stuff at starbucks, frappicinos in the summer. I have to agree with you about the coffee, it's usually quite bad, and I found most coffee lovers I know remarking on that. The chai latte in the fall is quite good, and even the pumpkin spice. Unfortunately the winter stuff isn't that good, the last thing I had was the eggnog and gingerbread latte's and they were terrible!